SPRING/SUMMER DRESS ENSEMBLE - Sew, What's New? 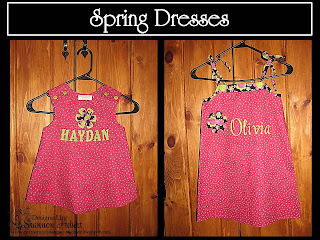 My Daughter is going to be 20 years old This July so she is not at an age to make all her little spring and summer outfits. 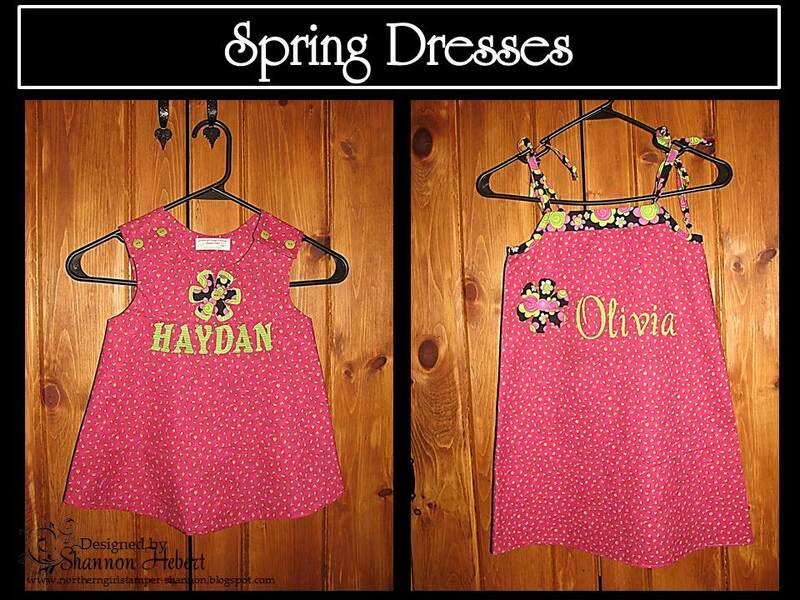 I miss making all her matching sets, SO I decided to make some cute little matching Spring/Summer Dresses for my girlfriends two granddaughters. They are 2 and 5 years old. Of course I made them to match as they are sisters. 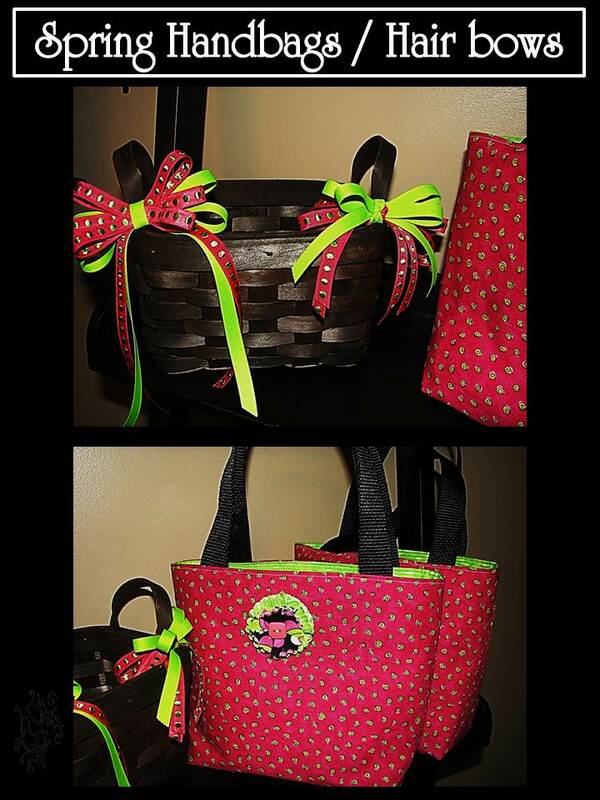 Of course I had to make matching handbags and hair bows to match the summer dresses. With Easter Sunday this weekend they will look adorable with their matching outfits and accessories. The handbags each have an adorable little Fabric Flower pin I created using my circle scallop nestabilities. You can see the tutorial at my original post HERE. 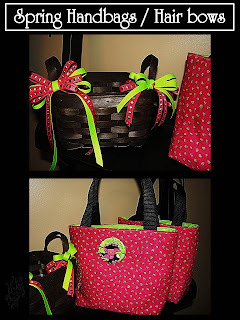 The instructions for this adorable handbag can be found at "Make and Takes" DIY Fat Quarter Bag. Those are two lucky and fortunate sisters! Great job, as usual, Shannon! Bravo! !